MORVEN – Mr. Harold Martin Short, 90, of Myrtle Beach, SC, formerly of Morven, NC, died Friday, July 13, 2018 at Summit Place of North Myrtle Beach. Harold was born September 10, 1927 in Anson County, NC a son of the late Ellison Ross Short and the late Barnice Williams Short. He served his country in the Navy during World War II. 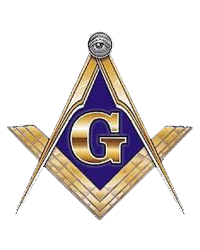 He was a Master Mason, a 32 Degree Scottish Rite Mason, and a member of Hejaz Shrine. He retired from the Wiremold Company after a long and successful career. In addition to his parents, he was preceded in death by his wife, Polly Broome Short; his brothers, Vero Short and Ben Short; and companion, Frances Childers. Surviving are his children;, Donna Short Clark ( Roger); and Jim Short ( Sylvia); 4 grandchildren and 8 great grandchildren and his brothers and sisters, Preston Short (Barbara), George Short, Margaret Short James (Johnnie) and Martha Short Burns (Collier). A memorial service will be held at Morven United Methodist Church, 411 Main St, Morven, NC 28119 on Saturday, July 21, 2018 at 12:00 noon. The family will receive friends after the service, before the luncheon. A service of committal will take place on Friday, July 20, 2018 at 2:00 pm in Frederick Memorial Gardens, 986 Chesnee Hwy, Gaffney, SC 29341. In lieu of flowers, contributions may be made to Shriners Hospitals for Children, 950 West Faris Rd. Greenville, SC 29605. The family wishes to thank the staff of Summit Place of North Myrtle Beach and Embrace Hospice for their loving care.